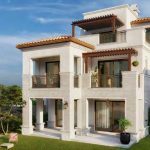 Joulz offers you a peaceful private community located in the 6 of October City. 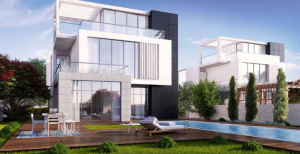 Located on the Cairo-Alexandria Desert Road, almost 20 minutes away from Mohandessin and only moments away from the Ring Road. 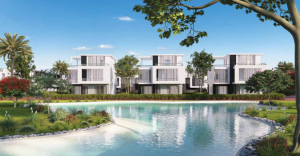 Joulz consists of 1,150 residential units containing a range of apartments, townhouses, twin houses, and stand-alone villas. 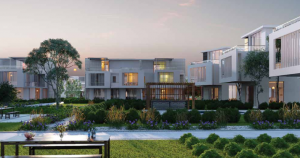 All units are designed to brighten the residents homes and every day activities. 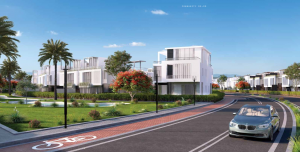 Joulz aims to ensure that its residents needs are completely full-filled within the compound, and as a result, there are several services and utilities. These services and utilities include banks and medical clinics. The aim is to make sure that residents will not have to leave Joulz to get any of these services. Joulz also has a hypermarket, restaurants, cafes, and a clubhouse. Because safety is important, the Joulz community has a 24/7 on-site security service across the compound to ensure that its residents have peace of mind. Surveillance systems are installed around the compound’s area, covering all outdoor and public spaces. Joulz also has jogging trails, biking lanes, and 8 theme parks. The theme parks make up 45,000 m2 of the development. Every park and green area is themed differently to suit and entertain the residents.